The Suburban Homes, sick to death with their lot in life, decided one day to record a few songs, they were so bored but it turned out to be a somewhat fun process and did indeed brake up the Monday to Friday existence they all hated, the songs were recorded in a few hours and thus Market Square are proud to be releasing the angst-ridden neurosis which is The Suburban Home E.P. The title track 'Suburban Home' kicks off the proceedings with true snotty bombast, picking out all the faults with middle class living, age is of no concern for "The Homes", in this track, no-one is safe, they despise your kids, your grandparents and even your dog. The flip-side, kicks off with Pseudo-Intellectuals, which was written after the boys had returned from a trip to London, London seemed an even more idiotic place than Crawley, so with that in mind, they picked up their guitars, played three chords and simply tell it as it is. The E.P is rounded off with the lacklustre theme for doing-it-yourself, the rather originally titled D.I.Y, sings the praises of individual creativity "its easier than 123, its easier than ABC " they yell, however, how many people are actually listening?? 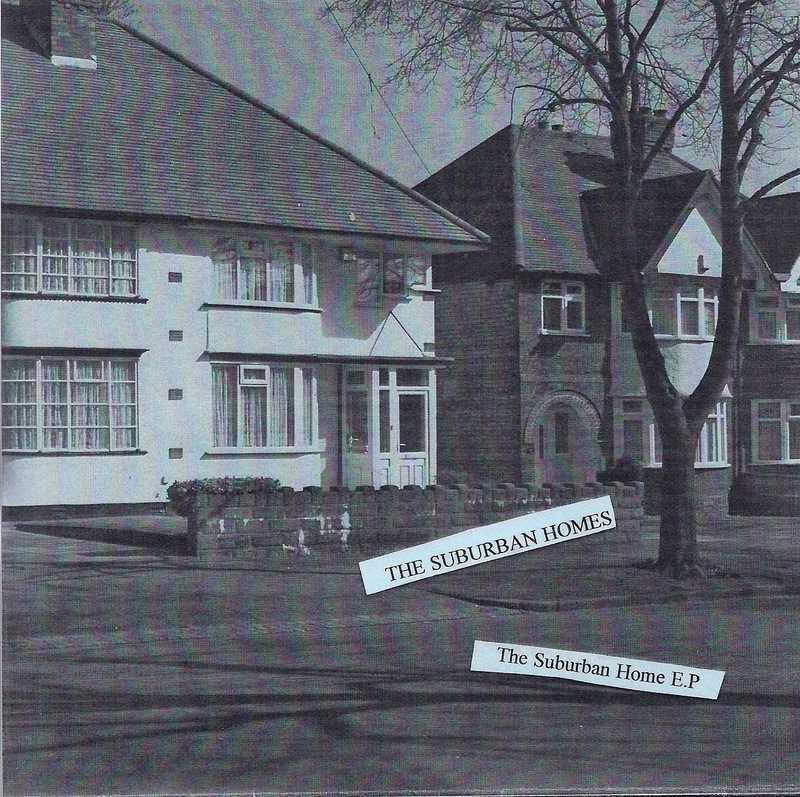 The Suburban Homes take DIY punk to its next original conclusion and thus have most likely created one of the truly last punk moments in UK music. THIS RECORD IS NOW SOLD OUT/OUT OF PRINT!!! !